When the firefighters of Ladder Company 189 pull Clare's friends out of a blazing cafe, she happily comes to their rescue. As a favor to the men, she visits their firehouse kitchen to teach them the finer points of operating their newly donated espresso machine. But more than their coffee turns out to be hot. 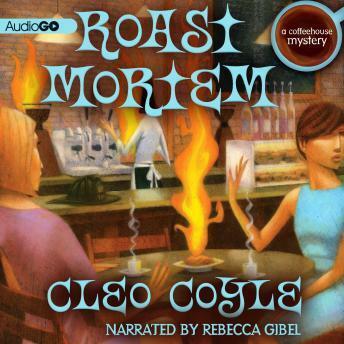 Somebody's torching cafes around the city, and firefighters are beginning to die in suspicious ways...Believing the two events are related, Clare investigates, staking out a five-borough bake sale and sniffing out clues in the pizza joints of Brooklyn. When her detective boyfriend, Mike Quinn, is pulled into the fire of a false accusation, Clare is desperate to put out the flames. But will she be able to come to Mike's rescue before someone tries to extinguish her?